The North Georgia Mountains offer many lake options but nothing more special and more convenient than Blue Ridge Lake. This lake is the crown jewel of the mountains not only because of its deep clear waters, but because it sits a mere stone’s throw from the heart of downtown Blue Ridge, where shops, restaurants and art galleries create a culturally-rich environment throughout the year. The crystal clear aquamarine waters of Lake Blue Ridge make it one of Georgia’s most picturesque mountain lakes. The 3,290-acre lake and surrounding area boast over 90 national forest campsites, several boat ramps, the full-service Lake Blue Ridge Marina and public swimming and picnic areas. 80 percent of the shoreline on Lake Blue Ridge is in the Chattahoochee National Forest, managed by the USDA Forest Service. Blue Ridge Lake is 11 miles long and has 65 miles of shoreline, 25 percent of which is developed, the remaining shoreline remains pristine. The lake was formed in 1930 when the Blue Ridge Dam was constructed on the Toccoa River by the Toccoa Electric Power Company. At the time it was built, the dam was the largest earthen dam in the Southeast. The Tennessee Valley Authority (TVA) purchased the facility in 1939 for hydroelectric power production. 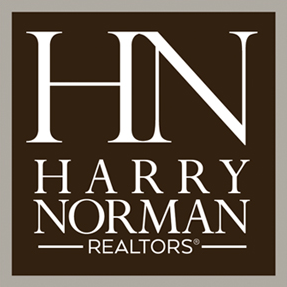 Having represented an extraordinary group of clients who bought and sold properties on Lake Blue Ridge, I have become well versed on the lake’s attributes and the values of land and homes that surround it, so if you are looking to purchase or sell a home or property on Lake Blue Ridge, I would be honored to represent you in the process. And for those of you looking for more affordable lake living opportunities, let me be your guide to Lake Nottely and Lake Chatuge, both offering crystal clear waters and incredible views of the surrounding Blue Ridge Mountains. If you are looking for a lake a bit closer to Atlanta, let me introduce you to Lake Allatoona, a beautiful lake that offers affordable lake front living a mere stone’s throw from the outer perimeter of Atlanta. You are just a click away from learning more about Lake Living here in Georgia’s Blue Ridge!